(NaturalNews) The case against gluten seems to have been closed with recent research from a Brazilian research team that published a report in the January 2013 Journal of Nutritional Biochemistry. It seems to have put an exclamation point on the wheat belly controversy. Lacking scientific data confirming the mechanics of how gluten may or may not affect obesity, the study was set up to examine the differences in specific genetic and biochemical markers between rats fed gluten and rats that were kept gluten free. The “wheat belly” syndrome and how it leads to other health issues was the purpose of their research. The research team chose biological markers that could indicate the onset of obesity and metabolic syndrome, precursors to diabetes and cardiac issues. Both groups of rats were fed high fat diets. But one group was gluten free and the other group’s diet was 4.5 percent gluten. Even without tracing their predetermined markers, it was obvious the gluten free mice exhibited weight loss without any trace of lipid (fat) excretion. This study report, according to Sayer Ji proves that the major factor of obesity is gluten, not calories. Considering that both groups of mice were fed high fat diets and the gluten free mice lost weight without excreting lipids also implies that fat free diets for losing weight are bogus. This has been suspected by other nutritional experts who’ve abandoned matrix thinking. Sayer Ji recommends that those who are overweight, pre-diabetic, experiencing metabolic syndrome, or suffering from irritable bowel syndrome try avoiding gluten grains, especially wheat, to determine from experience if gluten is the underlying cause. So how did wheat, “the staff of life,” become a weed of disease. Wheat is not the same today. It has been agriculturally hybrid, not genetically lab engineered over some decades to resist fungus, grow more quickly, and be more pliable for industrial bread baking. As a consequence, 50-60 years ago wheat containing only five percent gluten has become 50 percent gluten today. 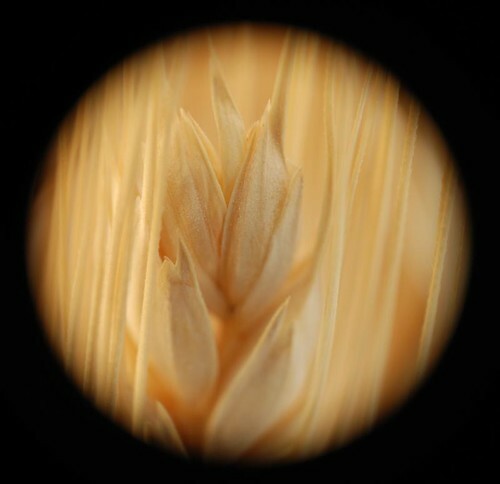 Agricultural resources used the hybrid process for wheat to accommodate the baking industry’s mechanical requirements of pliable proteins, leading to the 10-fold increase of wheat’s gluten. The processed food industry’s concern for production efficiency and perception of consumer demands has focused on the bottom line with the usual disregard to negative health consequences. Slightly different high speed methods of baking evolved over time. By artificially bleaching flour and adding “improvers” with often toxic additives and mixing the dough violently, loaves of bread could be baked, cooled, and packaged within a few, short hours. Cheap, unhealthy foods for many with massive profits for a few. This is beginning to change with measures that seem to offset gluten’s damage for some. For example, Whole Foods has their own bakery providing fresh breads daily without bromides, which can displace the thyroid gland’s iodine contents and create hypothyroidism. Other local bakeries may provide sprouted grain and real sourdough breads, which even some celiac sufferers manage to consume without adverse reactions.